Customer relationship management (CRM) is a topic discussed, mainly, by information systems and marketing management areas. Many organizations are already using CRM systems. When a company uses CRM, it develops different organizational capabilities some of which lead to innovation. Whilst there are some studies that already analyze the creation of innovation capabilities resulting from the usage of a CRM system, how this is achieved has not been understood. The present study aims to contribute to this debate by building on the dynamic capabilities theory to develop a conceptual model for understanding the innovation capabilities development through CRM usage. 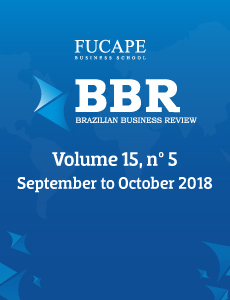 The research question that guides this paper is: “What is the role of Dynamic Capabilities in the creation of innovation capabilities through CRM usage?” We conduct an exploratory study based on qualitative experts’ interviews. Our findings support the argument that CRM drives innovation through dynamic capabilities. In fact, by sensing, seizing and reconfiguring market opportunities and threats, CRM allows organizations to generate innovation.